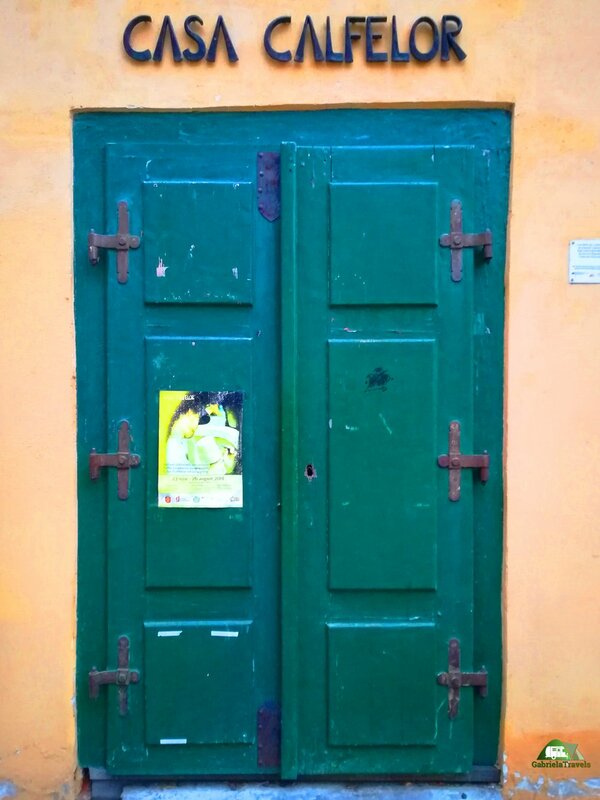 Casa Calfelor, or how I like to call it The House of Artists represents a different world. A world so far away than what we are living but yet so close. A beautiful brotherhood built with respect and understanding for each other, but also with many efforts that not any person is able to accept along 3 years and 1 day away from their houses. "Calfe" (RO) or Journeyman (EN), represents a word which is not utilised as often as it used to be, with the meaning of the young travelling teens who are leaving their country to learn craftsmanship from abroad, but also to do something with their lives and don't lose the time thinking about what should they do. Even if it seems pretty easy and makes you feel that you might be a journeyman as well, there is a very strict code about whom and how a person can join this brotherhood. 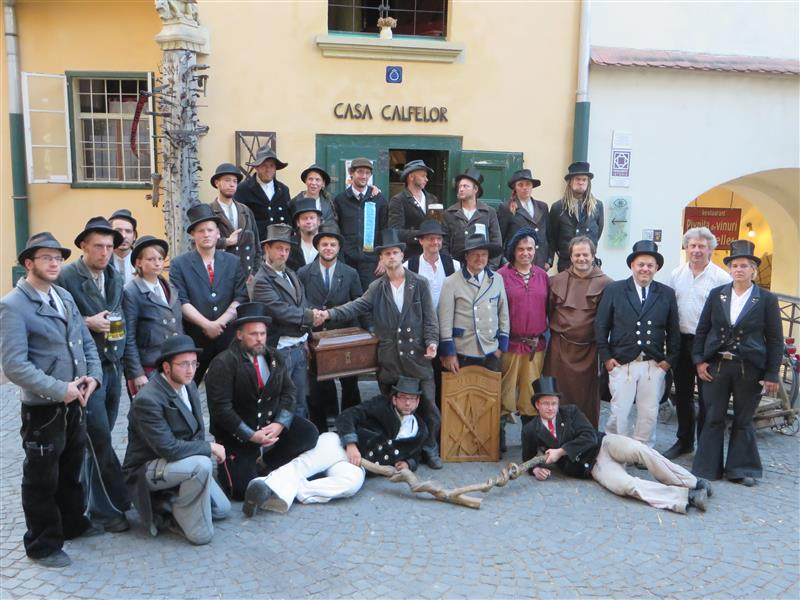 Some of the rules are: being younger than 30 years old, not married, no kids and without any obligations or debts in order to be able to respect the rules and the traditions of the guild. Once the person joined the team, he must leave his country with only one coin in the pocket which is not allowed to use or trade for something else because, after 3 years and 1 day of travelling the world without getting closer than 50km away from his house, he must return the coin. There is also another restriction that says a journeyman is not permitted to stay in the same place for more than 3 months because he must earn a lot of experience and improve his skills by working with different craftsmen. When the tasks are completed, the people who didn't give up or broke any of the rules can join the team of the skilled craftsmen. Before starting the journey, calfele must dress up the traditional costume which was made before attending to this rough challenge. scarf - with the badge of the union they belong to. Every costume can be black, blue or cream-coloured, depending on the guild. On almost 300km away from the capital of Romania - Bucharest, we reach one of the cities highly skilled in crafts - Sibiu. Sibiu is already known as a completely different place than any other city from Romania, but once you get to Orasul de Jos and go up the stairs, the weak strokes of the tools, the smell of fresh clay, the young, dusty and silent people carrying bags of lime, make you realize you are joining a different world filled with vibes enchanted by a medieval air full of stories. Meeting a group of calfe, or a house where they work and learn new things - is pretty rare. And not only in my country but all over the world because it's a tradition started in The Middle Ages that is no longer tracked as it used to be. Nowadays, the countries where this kind of people can be found, are - Germany, Austria, Switzerland, France and Romania. 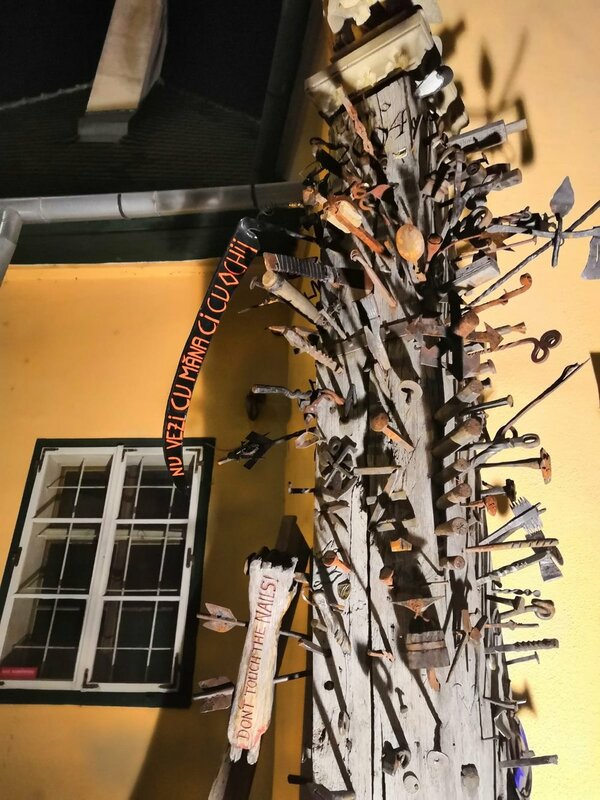 The same countries are the ones from where the journeymen keep coming since 2002, Sibiu together with Rügen, Neustadt and Leipzig being considered the cities that offer protection and shelter to the young craftsmen. 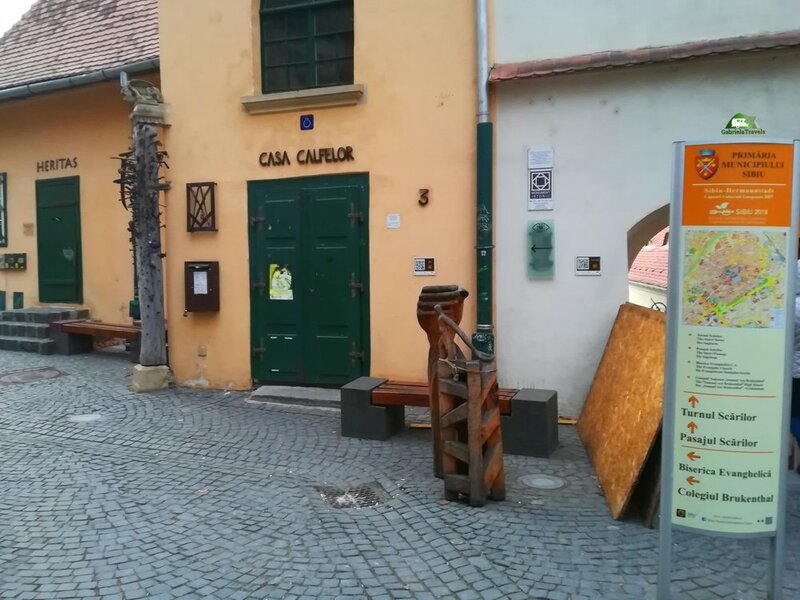 Casa Calfelor from Sibiu, represents the first such building created in the Eastern Europe for the young journeymen, which was built with the help of 60 calfe and 14 skilled craftsmen from different countries and associations. 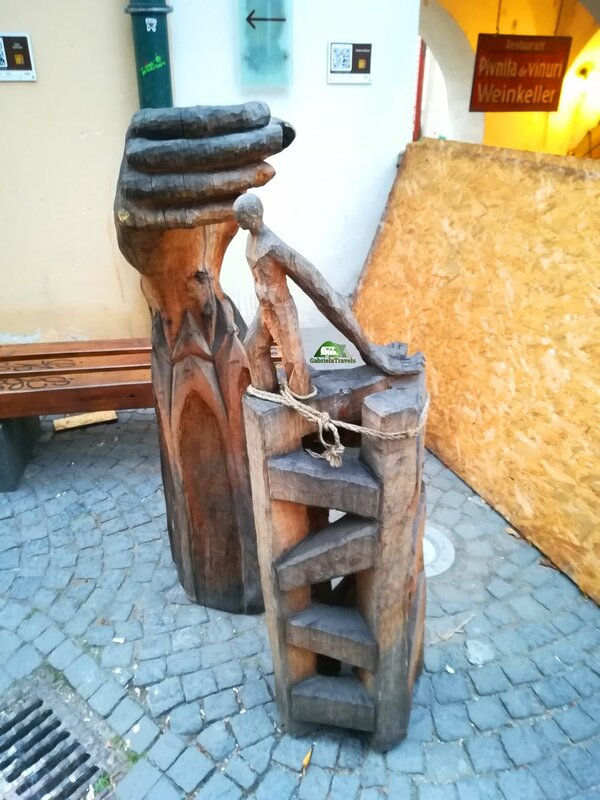 After Casa Calfelor from Sibiu was set, the next one appeared in Brasov (Romania) in 1463, which is considered another city rich in traditions and medieval stories. 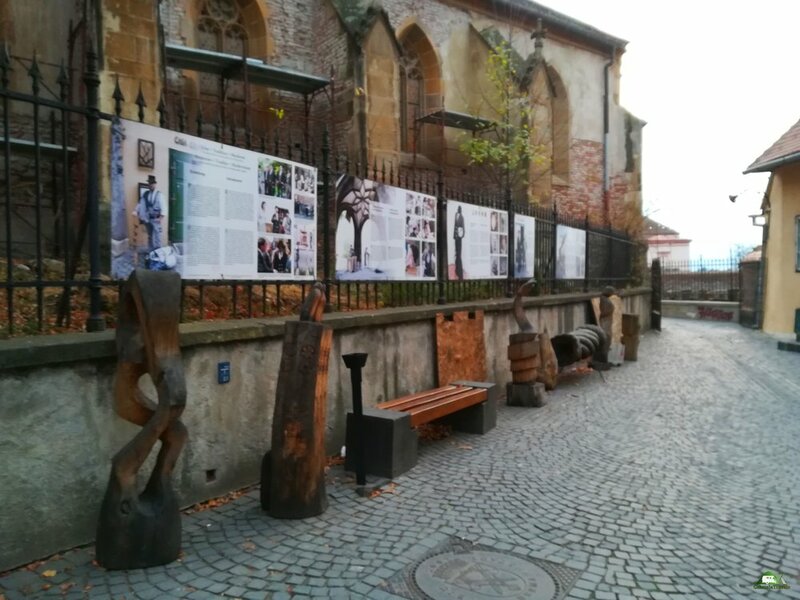 In the middle of the 19th century, calfele started to disappear after the guilds from Transylvania were abolished but after 200 years since then, calfele began reviving the tradition in Sibiu which still exists today. Since then, in every summer the young journeymen come to Casa Calfelor from Sibiu and work on rehabilitating the monumental buildings from the city. 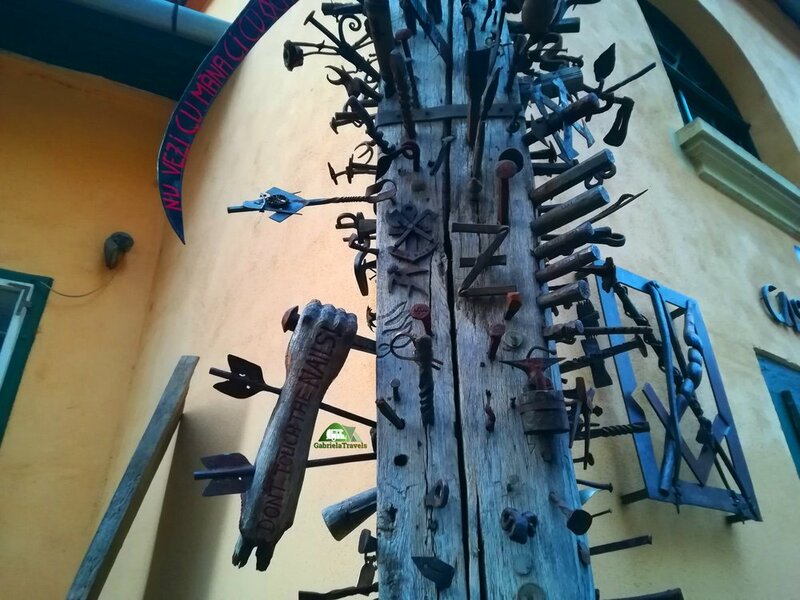 As a landmark that you are discovering a shelter for journeymen, right in front of Casa Calfelor you will notice a wooden pillar full of nails and all sorts of small objects trapped in it. At the beginning, it might seem terrifying but its meaning represents how many calfe passed by and left a personal object trapped in the wood. Every journeyman is bound to do so in order to have luck on his adventure but also to keep the devil away from his soul. 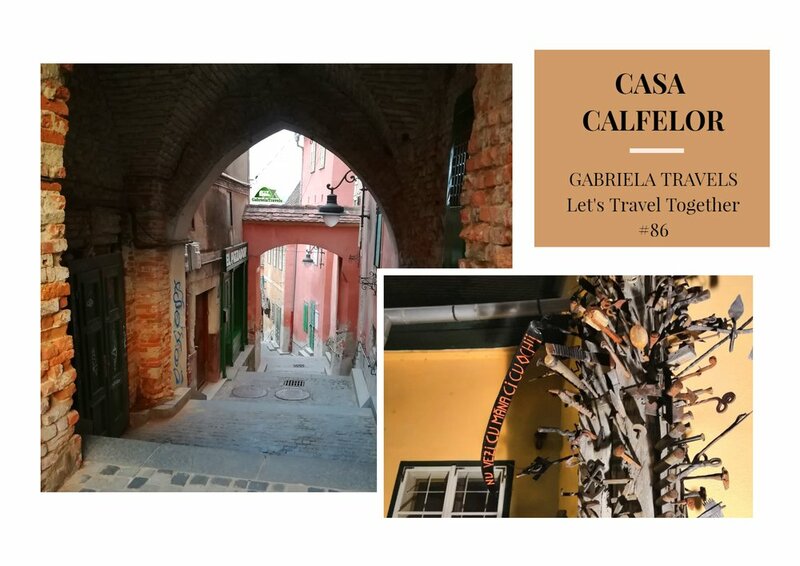 Casa Calfelor from Sibiu is located between Pasajul Scarilor (EN: The Passage of Stairs) and Piata Albert Huet (EN: Albert Huet Square) nr. 3, Sibiu 550182, and today there are around 800 calfe who are travelling the world for a better living, most of them being from Germany.